From our definition of ecology in the Preface, and even from a layman's understanding of the term, it is clear that at the heart of ecology lies the relationship between organisms and their environments. In this opening chapter we explain how, fundamentally, this is an evolutionary relationship. The great Russian-American biologist Theodosius Dobzhansky famously said: 'Nothing in biology makes sense, except in the light of evolution'. This is as true of ecology as of any other aspect of biology. Thus, we try here to explain the processes by which the properties of different sorts of species make their life possible in particular environments, and also to explain their failure to live in other environments. In mapping out this evolutionary backdrop to the subject, we will also be introducing many of the questions that are taken up in detail in later chapters. The phrase that, in everyday speech, is most commonly used to describe the match between organisms and environment is: 'organism X is adapted to' followed by a description of where the organism is found. Thus, we often hear that 'fish are adapted to live in water', or 'cacti are adapted to live in conditions of drought'. In everyday speech, this may mean very little: simply that fish have characteristics that allow them to live in water (and perhaps exclude them from other environments) or that cacti have characteristics that allow them to live where water is scarce. The word 'adapted' here says nothing about how the characteristics were acquired. For an ecologist or evolutionary biologist, however, 'X is adapted to live in Y' means that environment Y has provided forces of natural selection that have affected the life of X's ancestors and so have molded and specialized the evolution of X. 'Adaptation' means that genetic change has occurred. Regrettably, though, the word 'adaptation' implies that organisms are matched to their present environments, suggest ing 'design' or even 'prediction'. But organisms have not been designed for, or fitted to the present: they have been molded (by natural selection) by past environments. Their characteristics reflect the successes and failures of ancestors. They appear to be apt for the environments that they live in at present only because present environments tend to be similar to those of the past. The theory of evolution by natural selection is an ecological theory. 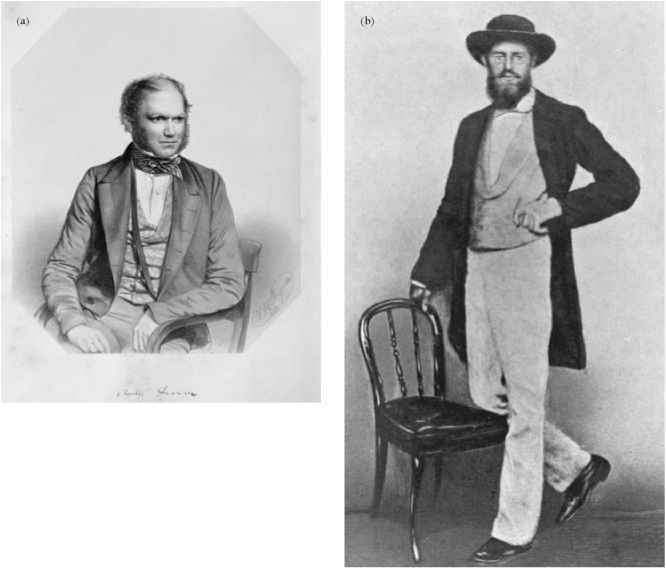 It was first elaborated by Charles Darwin (1859), though its essence was also appreciated by a contemporary and correspondent of Darwin's, Alfred Russell Wallace (Figure 1.1). It rests on a series of propositions. 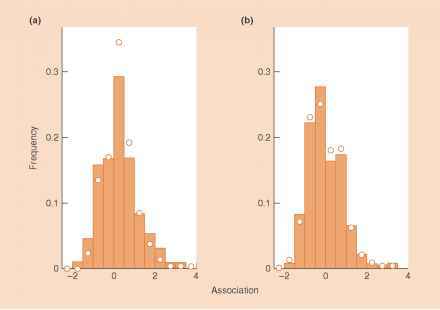 1 The individuals that make up a population of a species are not identical: they vary, although sometimes only slightly, in size, rate of development, response to temperature, and so on. 2 Some, at least, of this variation is heritable. In other words, the characteristics of an individual are determined to some extent by its genetic make-up. Individuals receive their genes from their ancestors and therefore tend to share their characteristics. 3 All populations have the potential to populate the whole earth, and they would do so if each individual survived and each individual produced its maximum number of descendants. But they do not: many individuals die prior to reproduction, and most (if not all) reproduce at a less than maximal rate. 4 Different ancestors leave different numbers of descendants. This means much more than saying that different individuals produce different numbers of offspring. It includes also the chances of survival of offspring to reproductive age, the survival and reproduction of the progeny of these offspring, the survival and reproduction of their offspring in turn, and so on. 5 Finally, the number of descendants that an individual leaves depends, not entirely but crucially, on the interaction between the characteristics of the individual and its environment. Figure 1.1 (a) Charles Darwin, 1849 (lithograph by Thomas H. Maguire; courtesy of The Royal Institution, London, UK/Bridgeman Art Library). (b) Alfred Russell Wallace, 1862 (courtesy of the Natural History Museum, London). In any environment, some individuals will tend to survive and reproduce better, and leave more descendants, than others. If, because of this, the heritable characteristics of a population change from generation to generation, then evolution by natural selection is said to have occurred. This is the sense in which nature may loosely be thought of as selecting. But nature does not select in the way that plant and animal breeders select. Breeders have a defined end in view - bigger seeds or a faster racehorse. But nature does not actively select in this way: it simply sets the scene within which the evolutionary play of differential survival and reproduction is played out. The fittest individuals in a population are those that leave the greatest number of descendants. In practice, the term is often applied not to a single individual, but to a typical individual or a type. For example, we may say that in sand dunes, yellow-shelled snails are fitter than brown-shelled snails. Fitness, then, is a relative not an absolute term. The fittest individuals in a population are those that leave the greatest number of descendants relative to the number of descendants left by other individuals in the population. When we marvel at the diversity of complex specializations, there is a temptation to regard each case as an example of evolved perfection. But this would be wrong. The evolutionary process works on the genetic variation that is available. It follows that natural selection is unlikely to lead to the evolution of perfect, 'maximally fit' individuals. Rather, organisms fitness: it's all relative evolved perfection? no come to match their environments by being 'the fittest available' or 'the fittest yet': they are not 'the best imaginable'. Part of the lack of fit arises because the present properties of an organism have not all originated in an environment similar in every respect to the one in which it now lives. Over the course of its evolutionary history (its phylogeny), an organism's remote ancestors may have evolved a set of characteristics - evolutionary 'baggage' - that subsequently constrain future evolution. For many millions of years, the evolution of vertebrates has been limited to what can be achieved by organisms with a vertebral column. Moreover, much of what we now see as precise matches between an organism and its environment may equally be seen as constraints: koala bears live successfully on Eucalyptus foliage, but, from another perspective, koala bears cannot live without Eucalyptus foliage.